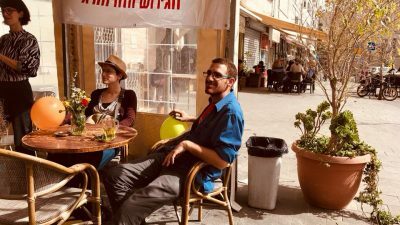 11 September 2018 Tom Anderson and Eliza Egret talk to Sahar Vardi from Imbala collective, who have set up a grassroots organising space in the heart of West Jerusalem. 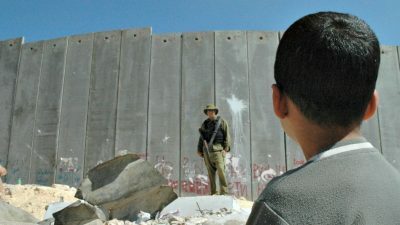 6 March 2017 Omar Barghouti asks whether Donald Trump, in his recent break with America’s long-standing support for the two-state solution, has unwittingly revived the debate about the plausibility, indeed the necessity, of a single, democratic state in historic Palestine? 13 January 2014 Jane Shallice reflects on a recent trip to the West Bank. 9 April 2012 Tom Dale speaks to Abu Yazan, a leading member of Gaza Youth Break Out. He has been persecuted by Israel, Fatah and Hamas, and was in exile in Cairo when this interview was carried out in December 2011.